Nineteenth century socialists and radicals were animated by the belief that the labor of society, properly deployed, could usher in a society characterized by comfort, cooperation, and leisure. Socialist writers argued that it was society’s potential wealth, rather than existing, which should be the object of a new economic enquiry, and that the former would dwarf the latter. The key to the realization of this stupendous social wealth, to be enjoyed by all, was the conscious reorganization of the use and distribution of society’s greatest resource, its human labor power. What is relevant about these quaint socialists is precisely that they were capable of confronting head-on the purveyors of Thatcherite “there is no alternative” ideology in their own day (Briggs, 20). In fact, the initial need for elites to publicly announce the absence of any alternative to existing social arrangements was entirely a defensive move, in response to the profoundly radical idea that human beings, in new and cooperative relations with one another and the earth, could replace poverty with plenty, and misery with joy. Today’s left could certainly use help from any quarter in developing and conveying a vision for change that puts “no alternative” ideology on the defensive and animates the popular imagination with a project for social transformation which is as profound as it is deemed feasible. The connections between the 19th century radicals and our own predicament, however, are far more direct than the mere offering of a possibly useful historical example. This is because the questions being asked are the same: Is poverty inevitable? Do we possess the resources to dramatically improve the material quality of our lives? From Thomas Malthus, the progenitor of “no alternative” politics, down through Thatcher and the austerity politics of our own day, in which our ability to guarantee subsistence to the elderly is posed as a serious question, and headlines suggest that bankruptcy may soon follow the establishment of access to medical care as a social right, “the poor ye will always have with you” has been a mainstay of capitalist ideology. The social doctrine of permanent scarcity is a powerful mechanism of social control, one that must be challenged if there is to be any mass engagement in a project which aims at significantly enhancing the material quality of life. The direct assault on this ideology by 19th century radicals, in which they argued that poverty had its root in the existing division of labor, and could only be abolished by way of its conscious reorganization, hardly seems dated, for what else is a call for social change but some proposal to alter the division of labor? The subversive visions of social possibility which resulted in the entrance on the historical stage of the “no alternative” ideology have been all but forgotten. Radicals pointed out that the productivity gains resulting from improvements in agriculture and machinery made it possible for 100 people, working together, to produce the wants and needs of thousands, and that there was every reason to believe that such improvements would be continuous. Who could countenance poverty and overwork in the face of such productive power? The very public, “no alternative” answer to this came in the form of Thomas Malthus’ Essay on Population, in which he used the language of scientific authority to dismiss as inane any notion that gains in productivity could ever ameliorate poverty: provision the poor beyond subsistence, he argued, and their numbers will explode at a rate far outstripping any prospective improvements in factories and farms. Privately, however, Malthus took the question very seriously. How indeed might the class relations of capitalism, which have as their essence the dependence of the masses on waged labor for subsistence, survive staggering and never-ending productivity improvements which promise to steadily reduce the quantity of human labor required for the production of an ever-increasing quantity of goods? 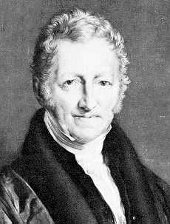 Here, Malthus agreed entirely with the radicals: the social division of labor, not the soil, was the true key to the potential wealth of society, only for Malthus, it was crucial that this be carefully managed so as to ensure the state of permanent scarcity which he so passionately believed in, though not always for the same professed reasons. Given the fantastic fertility of the soil and the stunning productive capacity of industrial technology, a commitment to scarcity can mean only one thing: the “unproductive consumers” of society, whose labor adds nothing to the quantity of goods on the market, must vastly outnumber the “productive laborers,” who produce the goods for which all members of society exchange their time or wealth. Both faces of Malthus remain with us to the present day: the “no alternative” of permanent scarcity is both the all too familiar essence of our daily politics as well as the ideology at the heart of the discipline of economics, defined in the most widely used economics textbook of the 20th century as “the study of how men and society choose to employ scarce resources” (Perelman, 1979, 80, emphasis added). At the same time, while the invisible hand of Adam Smith may be shouted as the professed civic religion, the whispered strategy for maintaining scarcity through management of the division of labor found an influential admirer in the person of John Maynard Keynes, whose impact on the post-war structure of Western economies, and hence on our landscapes, social demography, and lives, needs no elaboration. The history of the idea that a conscious, democratic reconfiguration of the social division of labor is the key to the abolition of poverty and the freeing of people from lives organized around the exchange of time for subsistence is one which is still impacting us today. Not because the left is still making such a claim, for it has been forgotten, but because the Malthusianism of elites, formulated in direct response to both the radical vision and the material reality which gave rise to it, in essence hasn’t changed. The story begins with anarchist William Godwin, whose 1793 book, Enquiry Concerning Political Justice swept across an England still reeling from the events of the French Revolution. In it, he argued that “while government was intended to suppress injustice, its effect has been to embody and perpetuate it,” and that the existing order of things, which so flew in the face of man’s natural equality, was the result of “the first offence” by “the man who took advantage of the weakness of his neighbors to secure a monopoly of wealth” (Godwin, pgs. 32-33; 37). Godwin’s essay was no mere incendiary rant, however, but a learned and carefully reasoned consideration of the social ethics implied by a presumption of human equality, as well as the possibilities for the material, intellectual and moral improvement of the human condition. He argued that the existing state of inequality created a “servile and truckling spirit,” that the cruel monotony of the factory system “produces a kind of ‘stupid and hopeless vacancy’ in every face,” that to be born into poverty was to be born a slave, and that “since human beings are partakers of a common nature, it follows on the principle of impartial justice that the ‘good things of the world are a common stock, upon which one man has as valid a title as another to draw for what he wants” (Godwin, 38). This was the edifice on which Godwin erected his vision of a libertarian, anarchist communism. Godwin went much further, however, in anticipating the future themes of the radical ideologies of the 19th century, becoming an early forerunner of the labor theory of value with the claim that “what is misnamed wealth is merely ‘a power invested in certain individuals by the institution of society, to compel others to labor for their benefit’” (Godwin, 38). Crucially, he argues that both reason and justice demand that the labor of society be consciously reorganized for the purpose of eradicating poverty and overwork. 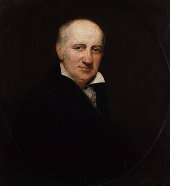 It would be more just, Godwin argued, if all who were able made a contribution to the production of the goods consumed by society: “Since a small quantity of labor is sufficient to provide the means of subsistence, it would moreover increase the amount of leisure and allow everyone to cultivate his or her understanding and to experience new sources of enjoyment. The object, in the present state of society, is to multiply labor; in another state, it will be to simplify it” (Godwin, 38). This vision is at the essence of the imagined socialist alternative to capitalism. Godwin’s book took England by storm. According to radical contemporary William Hazlitt, “No one was more talked of, more looked up to, more sought after, and wherever liberty, truth, and justice was the theme, his name was not far off…No work in our time gave such a blow to the philosophical mind of the country as the celebrated Enquiry concerning Political Justice” (Godwin, 9). The government of William Pitt declined to prosecute Godwin for treason, on the grounds that “a three guinea book could never do much harm among those who had not three shillings to spare.” The book did reach those with nothing to spare, however, as it was pirated, serialized in penny newspapers, and read aloud at workers’ gatherings all over England. The elite reply came from Malthus, and though his basic argument is well-remembered, few recall that it was made as a broadside against socialism. He said, with very little recourse to anything like evidence, that the poor multiply according to how much food they are provided, though always at a faster rate. He readily agreed with Godwin that if aristocrats, houseservants, soldiers, and clergy, not to mention all those engaged in the production of trinkets and finery for the rich, were instead to share the work of producing society’s basic needs, that the amount of wealth produced could of course be greatly expanded, but argued that population would immediately swell to reestablish the mass poverty which in truth was an eternal, natural state. What’s fascinating is that Malthus, so willing to preach quackery about the eternity of scarcity in the interest of shoring up capitalist class relations, was equally willing to think in a sophisticated way about the problem which was posed, not just by Godwin but by the actual material conditions of his time: how can scarcity be maintained in the context of an ever-growing capacity for plenty? Malthus attempts to answer this question in Principles of Political Economy, a text which, unlike the Essay on Population, had an elite audience in mind. He starts by proposing that the value of a commodity be defined as “the quantity of labor it commands. What follows from this definition of value is that the essence of a rich society is one which can produce the means of subsistence for the laboring classes for nearly nothing, while commanding the maximum supply of their labor. If this can be achieved, it produces a division of labor in which a tiny minority of the working population is engaged producing the means of subsistence for the entire society, with the remainder of workers producing luxuries or services of some kind. “There must therefore be a considerable class of persons who have both the will and the power to consume more material wealth than they produce. In this class the landlords stand preeminent; but if they were not assisted by the great mass of individuals engaged in personal services, whom they maintain, their own consumption would of itself be insufficient to keep up and increase the value of the produce …” (Malthus, pg. 401). “It is also of importance to know that, in our endeavors to assist the working classes in a period like the present, it is desirable to employ them in those kinds of labor, the results of which do not come for sale into the market, such as roads and public works. The objection to employing a large sum in this way…would not be its tendency to diminish the capital employed in productive labor; because this, to a certain extent, is exactly what is wanted…the employment of the poor in roads and public works, and a tendency among landlords and persons of property to build, to improve and beautify their grounds, and to employ workmen and menial servants, are the means most within our power and most directly calculated to remedy the evils arising from that disturbance in the balance of produce and consumption, which has been occasioned by the sudden conversion of soldiers, sailors, and various other classes which the war employed, into productive laborers” (Malthus, 416). It is more than ironic that the proposals of Malthus, the father of “no alternative politics” whose ideas were formed as weapons against the socialists and radicals of his age, should go on to become defined as the socialism, of sorts, of the post-World War II capitalist democracies. Indeed, Keynes quoted the above passage by Malthus, in which he makes his call for a program of public works, and called it “the best economic analysis ever written of the events of 1815-20” (Keynes, 121). After quoting from a letter from Malthus to Ricardo, in which Malthus makes the case that “an adequate proportion of unproductive consumption on the part of the landlords and the capitalists” was crucial to the ongoing production of capitalist wealth, Keynes exclaims, “If only Malthus, instead of Ricardo, had been the parent stem from which nineteenth-century economics proceeded, what a much wiser and richer place the world would be today!” (Keynes, pg. 120) He follows this by stating, “I have long claimed Robert Malthus as the first of the Cambridge economists” (Keynes, pg. 121). It is deeply ironic, if not tragic, that an intellectual son of Malthus, the man who battled Godwin with his Essay on Population before penning a class strategy to deal with productivity in such a way that it had precisely the opposite effect as that called for by the early socialists, namely that increasing productivity in the production of the necessities of life would cause continually more labor, rather than less, to be exchanged for them, would be seen as “the left” end of the economics spectrum, and even, perhaps, as somewhat socialist, by way of the association of his ideas with social democracy. Keynes may seem urbane, and even humanitarian, when compared to the likes of Milton Friedman, but we should reflect on the fact that the same could easily be said of the Malthus of Principles of Political Economy in comparison with the Malthus of Essay on Population, and pause to consider the very valuable role that both of them played in keeping the masses wedded to the yoke of labor, productivity gains be damned. Is poverty inevitable? That question, while rarely posed so starkly, is all around us in our discussion of politics. The implicit answer that we are daily given, and which many in our society seem to have accepted, is “absolutely yes.” It is crucial, however, to trace the lineage of this “no alternative” narrative, and to realize that it was in its most vulnerable state when the question of how work was distributed in society, and for whose benefit, was subjected to scrutiny and broad public discussion. The elite reaction was public apoplexy in the form of Malthus’ Essay on Population and private sophistication in the form of the same author’s ruminations as to how increased gains in productivity could actually result in ever increasing claims on labor, thus representing the antithesis to socialism. Radical politics, simply, should place the question of the organization of labor in society back on the table. Radical intellectuals should publicly mock the notion that economic outcomes in our society have anything to do with Adam Smith’s “invisible hand,” and undertake scholarship which demonstrates that the economy is managed, in much the way advocated by Malthus and Keynes, to ensure that entire lives are exchanged for goods which require next to no human labor for their production. There is no single political strategy which follows directly from this critique. Some may seek to demonstrate just how productive humans can be by organizing their own production and consumption with friends, outside the market, while others may attempt to use the electoral arena to force a change in the social division of labor by means of the state. Of course it is possible to do both, simultaneously. Both Godwin and Malthus agree that the productive capacity of humankind, if allowed to grow outside very narrow strictures, threatens to explode the class relations of capitalism, which depend crucially on scarcity. The point is to upset that carefully calibrated scarcity by demonstrating, both intellectually and in actual production, that as the necessities of life take far less than a lifetime to produce in abundance, it’s about time we be getting on with our lives. but in other posts as well. Thanks for making the intellectual connections with Malthus and 19th Century capitalist conservatives. I reposted your piece to my Facebook page.